Please take our Attendee and/or Organizer product features survey to help make this a tool that best serves your needs. turns face-to-face conversations into the BEST connections. Your events can sparkle with stimulating conversation when you add MatchUp . By answering just a few questions, your guests will find the BEST matches at your event! An easy matching system for event organizers, attendees and sponsors! with online and networking results? "Not enough new people to meet." "High costs for low results." SureToMeet's new MatchUp smartphone app introduces all mixer attendees to their most compatible matches right at the event. And enriches their conversation for more rewarding results! MatchUp works with Web-enabled smartphones to locate people the attendee simply MUST MEET. MatchUp allows each person to choose what type of people they want to meet and then find each other! As attendees update their interest responses, our system instantly provides new introductions. Attendees have never had enough time to find all the best matches at the events they spend time and money to attend! 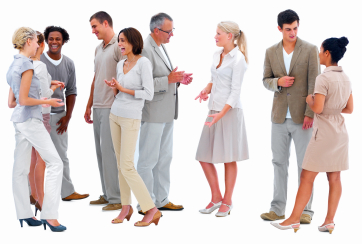 MatchUp provides an inexpensive and convenient solution that matches the most compatible people at networking mixers. Attendees can refine what they're looking for and find the most compatible matches! Attendees enjoy meetings more and tell their friends! Our web app puts organizers and attendees in charge of their experience. SureToMeet | MatchUp provides the BEST matches for each person at the event! No one else can deliver so much, so fast, so flexibly! Event organizers can handle event management tasks with our handy Organizer System ... and we make it easy to add real-time matching, introductions and connections with MatchUp! You can attach the MatchUp system to the most popular event registration systems to provide seemless event and mixer management. effective and generates high loyalty. Quality matching means that more people will attend and larger groups generate more revenue -- and more profits. And when they experience the difference -- they will come back! Copyright © 2016, Patented System by SureToMeet. All rights reserved.